It was early evening when we alighted from our cab. Slowly trudging our way through the horrendous Friday night Manila traffic, we eventually reached a quiet side street near Makati City’s flamboyant party district. 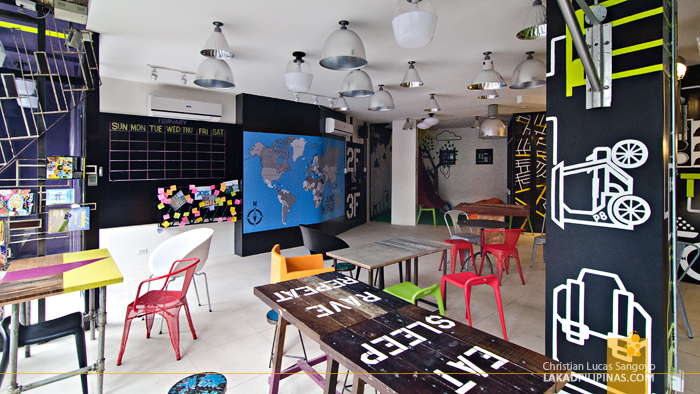 Our rendezvous, the newest hostel this side of the metro; Junction Hostels. 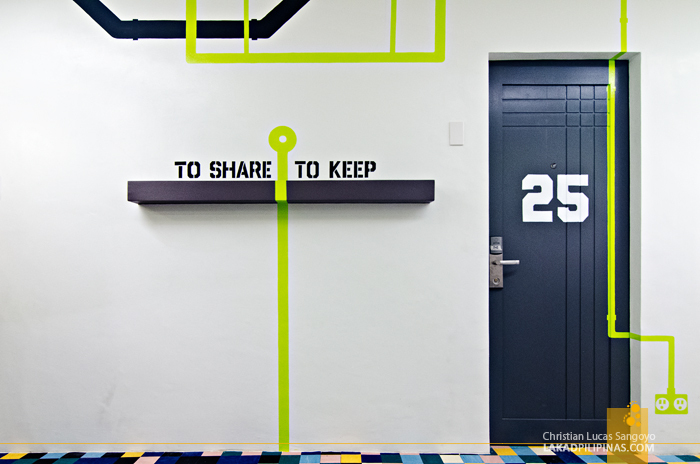 It was Junction Hostels’ soft opening and we were their first guests. With the usual weekend gang, we entered the hostels’ chic lobby and were warmly greeted by their staff. A few minutes of checking in and we were handed our funky electronic keys. We’re off to the third floor of the hostel for our room. 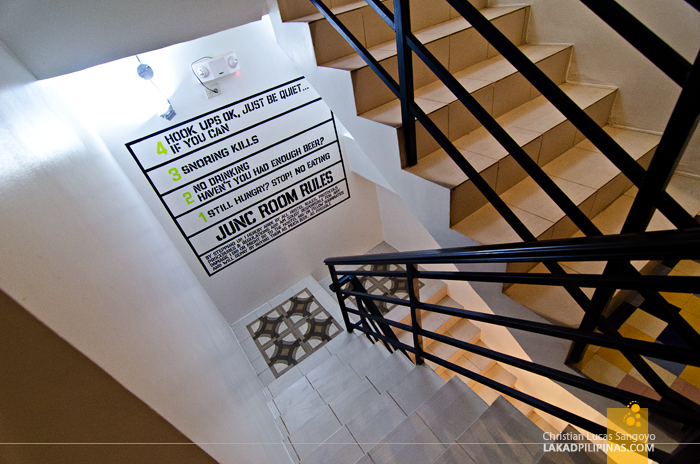 Like your typical hostel, Junction mostly has dorm rooms on two of its three floors (the first one housing its lobby, dining, lounge and laundry area). 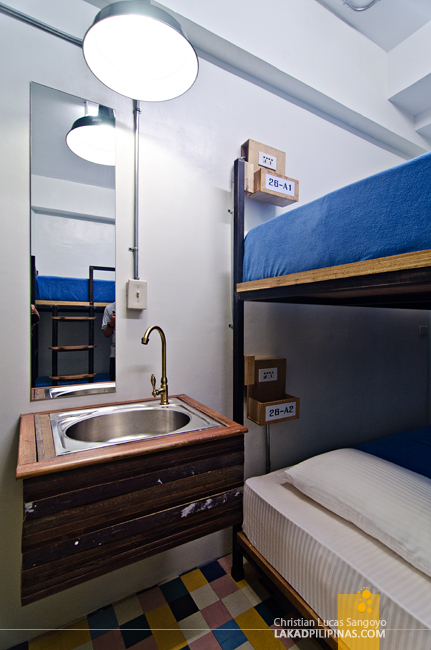 But unlike your typical hostel dorms, this one has thick, super comfy, hotel-type mattresses. And not only that, each room has its own en suite toilet and bath; with shampoo and body wash dispensers to boot too! Clap. Clap. I’m starting to get impressed. We comfortably fitted into their six-bed mixed dorm room (check rates) and rested a bit before joining the party downstairs. Each room has its own lockers and charging bins right beside the bed. I also like the fact that there’s an extra lavatory outside the bathroom to avoid queues to the toilet. COMMON TOILET AND BATH AREA, WITH HAIR-DRYERS! The girls went out for a bit, taking pictures and what-nots. 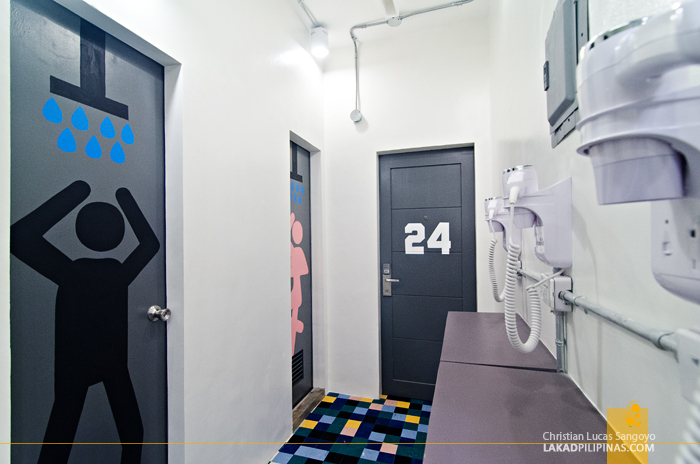 They went back all excited, exclaiming and raving about the multiple hairdryers near the common toilet and bath area. 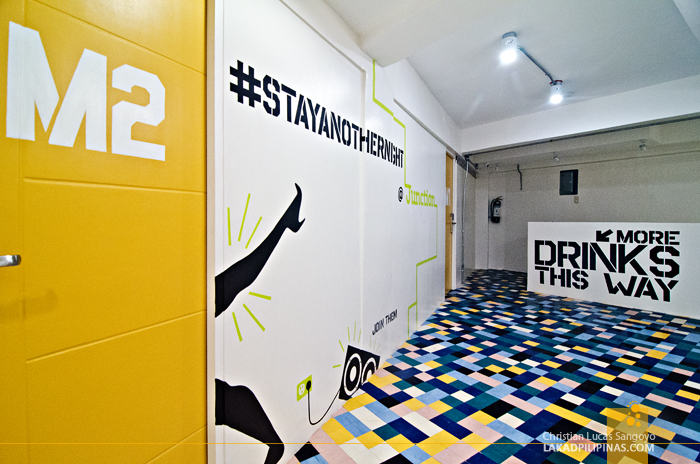 On our way back to the lobby, we passed the simple but funky graphics and typography painted along the walls of the hostel. It perfectly complimented the complex pixelesque vinyl finishing of the floor. A sign says More Drinks This Way, we obligingly followed. 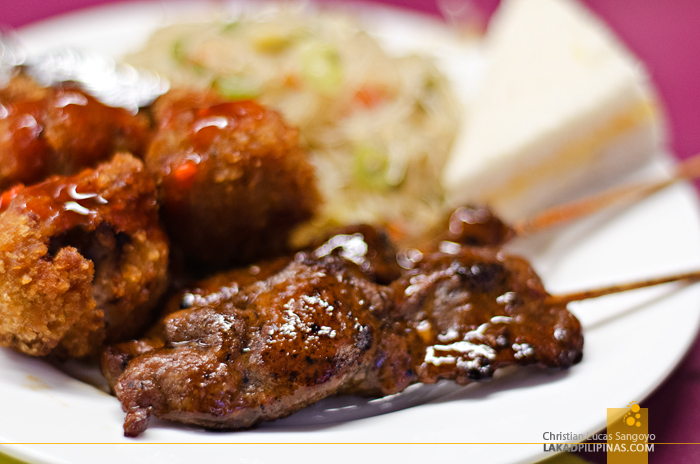 PARTY DINNER NOW, BEERS LATER! The party was just starting as we arrived at the ground floor. Handshakes. Handshakes. Handshakes. Food. Food. Food. Drinks. Drinks. Drinks. I’m liking the way things are progressing. By midnight, hours after the party has concluded, our group was still there, a bit rowdier than usual with all the alcohol and pork barbecues we consumed. 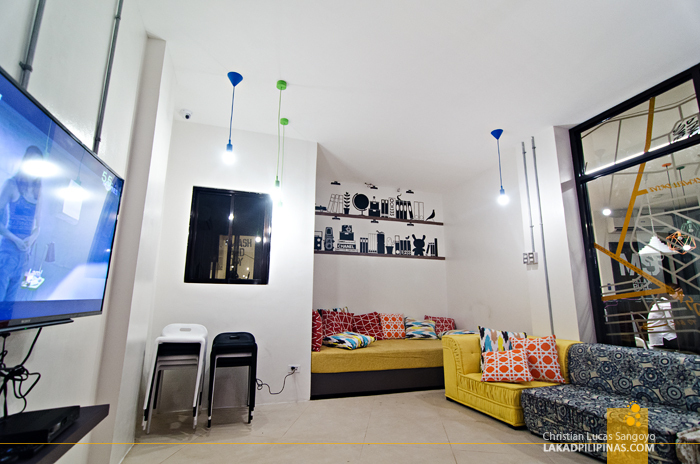 Junction Hostels serves Pale Pilsens and SanMig Lights on their restaurant lobby, unfortunately no Red Horse though. Before deciding to call it a night, we went out for a cheap plate of longsilog at the nearby eateries. Morning came later than usual; we immensely enjoyed the comfort of our soft beds and its warm, velvety blankets. Yawning our way down the lobby, we asked Junction’s staff if they’re still serving breakfast at their food truck—that said food truck is right inside the lobby, by the way—and yes they still do, even if it’s closer to lunch than breakfast. 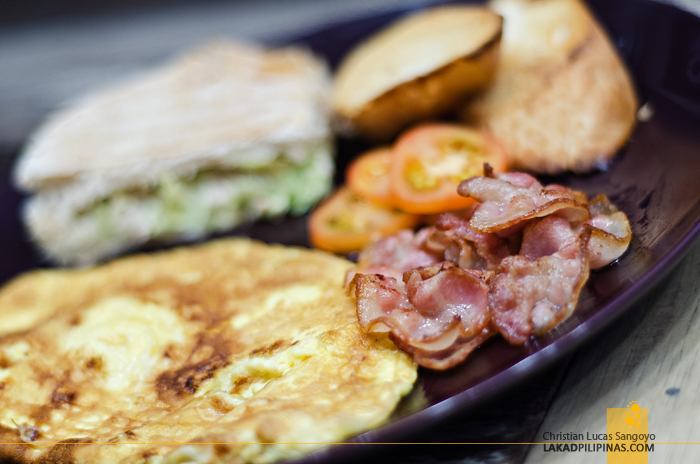 I requested for a serving of bacon, which comes with two fried eggs, a panini sandwich, some slices of tomatoes and bread. And since they have no rice, I bought a cup at one of the carinderias along the street and added some freshly fried spring rolls. Now that’s what I call a full breakfast. 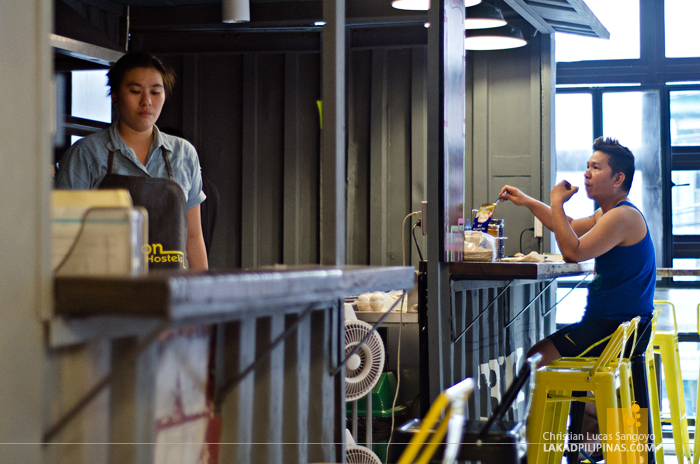 Breakfasts at Junction Hostels are not complimentary, being priced at around Php200.00++ per serving. 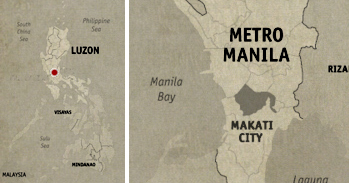 If you’re on a tight budget and find it to be on the expensive side, you can always have your morning fix at one of the many restaurants and eateries near the area. 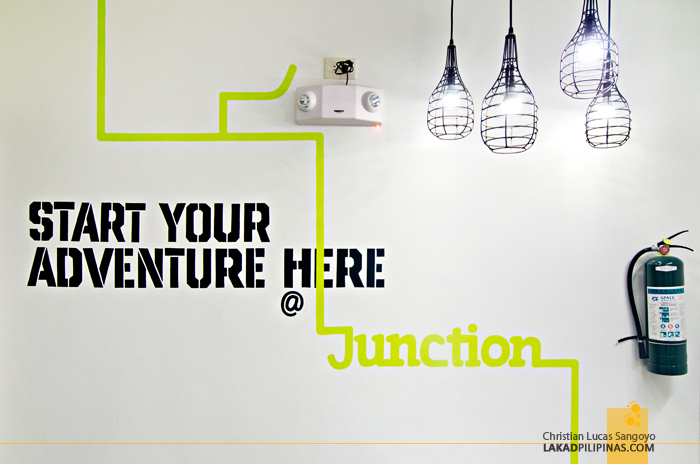 I’m loving the vibe of Junction Hostels; funky and chic, but still has that legit hostel backpacker’s place feel to it. 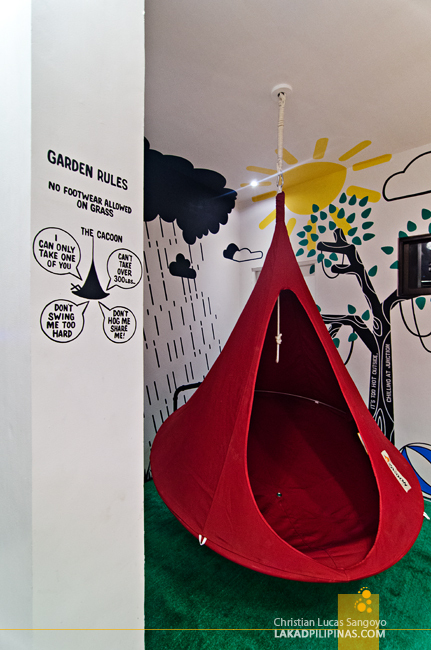 The amenities are top on (especially the beds!) but the rates are astoundingly low. The only thing missing really are the travelers, the exchanged books and the stories, which I know would be swarming along this place in no time. Ganda sana. Walang lang double. I especially love the CoWorking space and the tranquil vibe. It made me really felt home and welcome. Your article is pretty cool, honest and the photos are really nice as well. Did you take them?